Begin by speaking with Olaf. 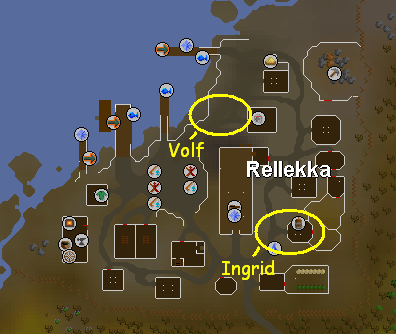 He is located north of Keldagrim entrance and is north east of Rellekka. Another way to get there would be to take the Fairy Rings if you've started Fairy Tale Part II: Cure a Queen. The code is DKS. He will ask you to identify yourself, and he will tell you he is carving some broken pieces of driftwood, in the middle of nowhere and in damp clothing! He will ask you to do a favour. Say yes, and he will need you to cut some logs from the tree that is over the mountain to the east of his camp. Climb up the mountain and to the north is the Windswept Tree. Chop it with your axe and get some Windswept Logs. Take them back to Olaf and he will carve them into a Crude Carving, to take to his wife Ingrid. He will also give you an even Cruder Carving, to take to his son, Volf. Their home is in Rellekka, so go south west and enter the city. Ingrid is located near a hut a few steps north east inside the city. Talk to her, give her the Carving and she will give you some Bread. Now you will need to find Olaf's son, Volf. He is located slightly west of the Helmet Shop. Talk to him and give him the "valuable item". He will present you with a shark in return. Now head back to Olaf, the man at the start of the quest. He will splutter out that he needs a fire. He will give you some Damp Planks, which you will need to light. Use the Driftwood on the unlit fire to get it going again. Talk to Olaf again and you will ask for the map. Choose the option to give him the food. He will now confess he thinks the map is cursed. He will tell you that it was the last one his grandfather, Sven the Helmsman ever made! 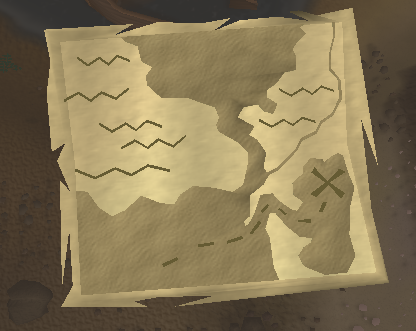 The map is supposed to show the location of hidden treasure, but Olaf has never been able to follow the inscriptions. It's a good job he hasn't found the treasure! You will receive Sven's Last Map. You need to follow this map. Walk up the mountain to the place where the Windswept tree was. Now, dig with your Spade on the place shown. 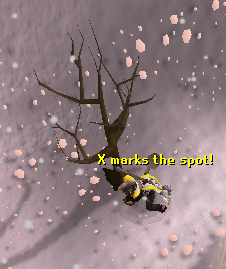 X marks the spot, after all! Walk east and then north. 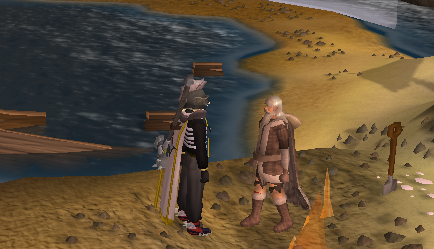 Then take the northern passage west past some level 40 Skeleton fremennik. Kill one and take the key. Simply click each of those top four levers once. When your puzzle matches that, pull the lever at the bottom and you will hear a clunk sound, and you will be able to go through. 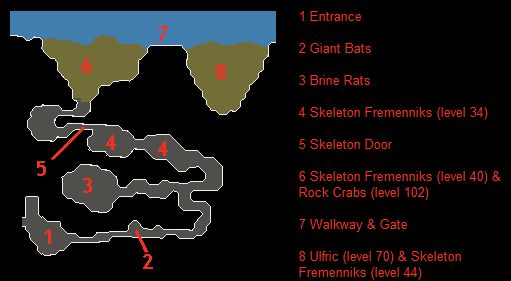 Walk east then north into an area packed with more Skeleton Fremenniks, only level 50 this time. 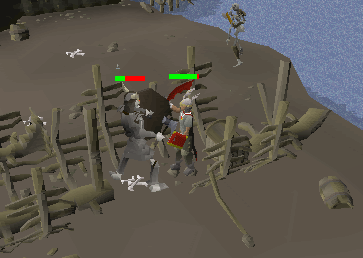 If you don't have your key still, kill a Skeleton Fremennik. This part used to be quite annoying and troublesome, but not anymore. Take a few ropes and rotten barrels from around the edges of the area. Walk onto the Rotten Walkway and wherever you see a gap in the walkway, use a Rotten Barrel with it. The highlighted areas in this picture show where to place the barrels. You'll need 3 pieces of rope to secure a Rotten Barrel. 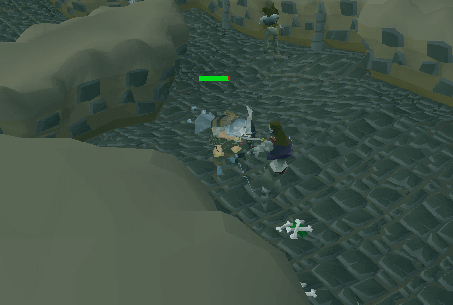 If you fall off, you'll wash up near Olaf's Camp. 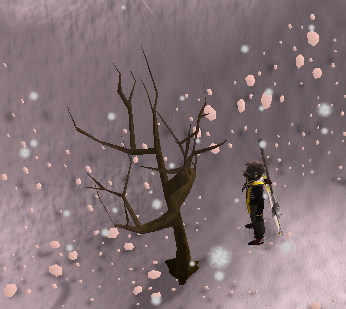 You only need to walk south to get back to Olaf, then back up the mountain and next to the tree. Dig to get back in. 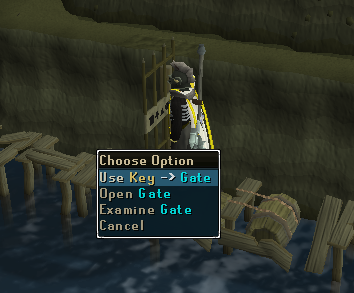 Once you get yourself far along enough, use that Key, that you got from the Skeletons, with the door. You'll need to select a shape in which the key goes into, based on what shape your key is. For the example below, you need to select the circle because the key has a circular hole. And if the key was a star shape, put it in the star keyhole. If you get it wrong, the barrel underneath you will turn and you'll wash up north of the Camp. 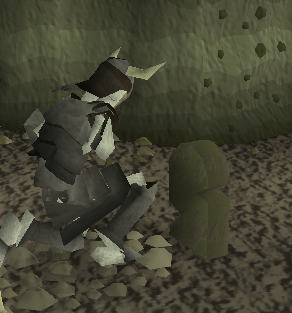 When you get back into the cave, you will need to kill another Skeleton fremennik to get the Key again. It will take real perseverance, as you will often fall. Just keep going and eventually you will make it.And remember a high Agility level is an advantage, because you will fail less, but it is not totally necessary, because the more you fail the more likely you are to not fail next time. 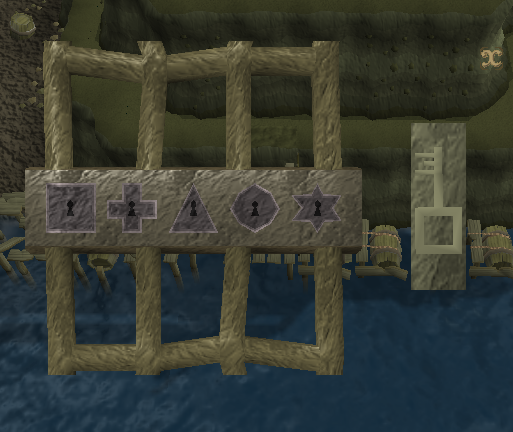 When you finally get past, you'll be in a room with some level 44 Skeleton Fremennik and a longboat Wreck. 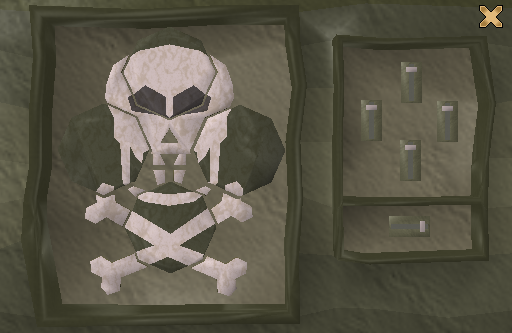 Put your armour on and wield your weapon and take any potions you may have brought. 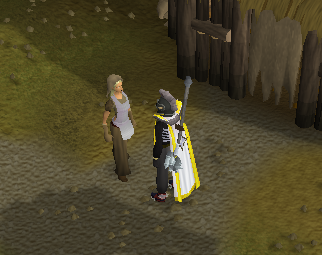 If you have done the Haunted Mine quest, wield your Salve Amulet, because the Captain is an undead monster. It will boost your Attack and Strength by 15%. Turn your prayer on if you think you might need it, although the battle is very easy. When you're ready, open the chest in the longboat. A level 70 Skeleton Captain named Ulfric will rise from the grave and attack you! Ufric is extremely easy to defeat, but have your food on hand for emergencies. Once Ulfric is dead, make sure you have 5 free spaces in your inventory. 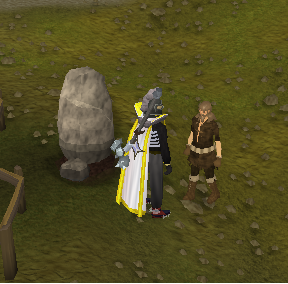 Seach the chest again and Congratulations, Quest Complete! 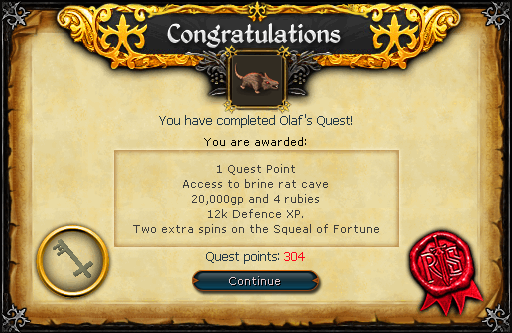 Upon completion of the quest, if you kill the Brine Rats in Sven's Cave, they will drop the Brine Sabre. 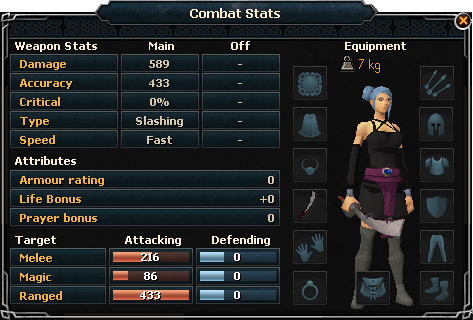 Note you need level 47 Slayer to kill these.